The roses listed on this page have all been introduced by Treloar Roses and have won awards at the National Rose Trial Garden of Australia, which is located in the Adelaide Botanic Gardens, South Australia. 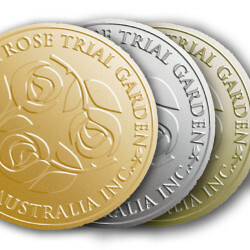 For more information about the history and protocols of the rose trials, click here National Rose Trial Garden of Australia. Bordeaux, Coconut Ice, Climbing Florentina and Garden Friend are our most recent award winners, receiving major prizes at the 2017 National Rose Trials. (Dicfizz) - An unusual coloured floribunda of creamy caramel. 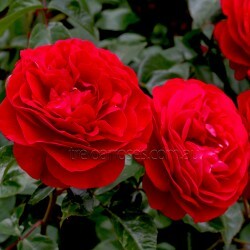 Medium sized shapely blooms are produc..